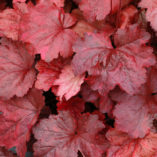 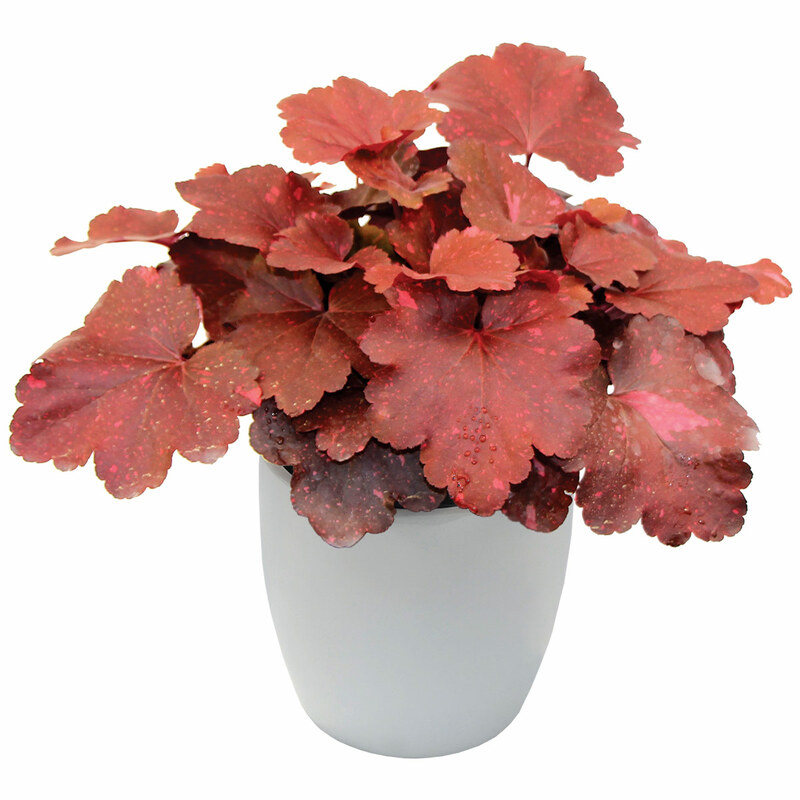 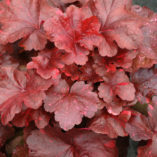 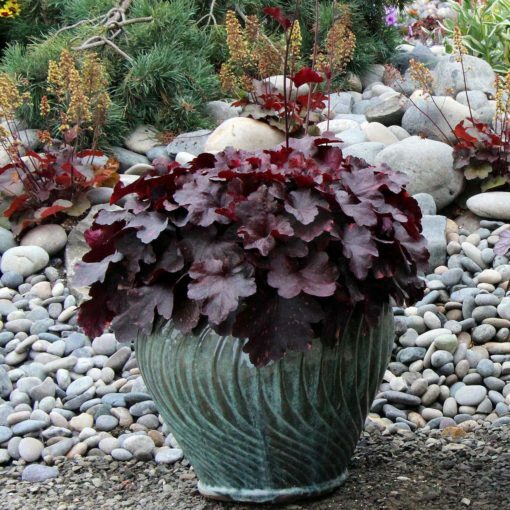 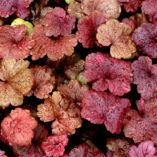 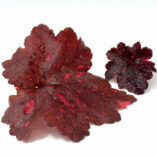 Heuchera ‘Galaxy’ | TERRA NOVA® Nurseries, Inc.
To infinity and beyond! 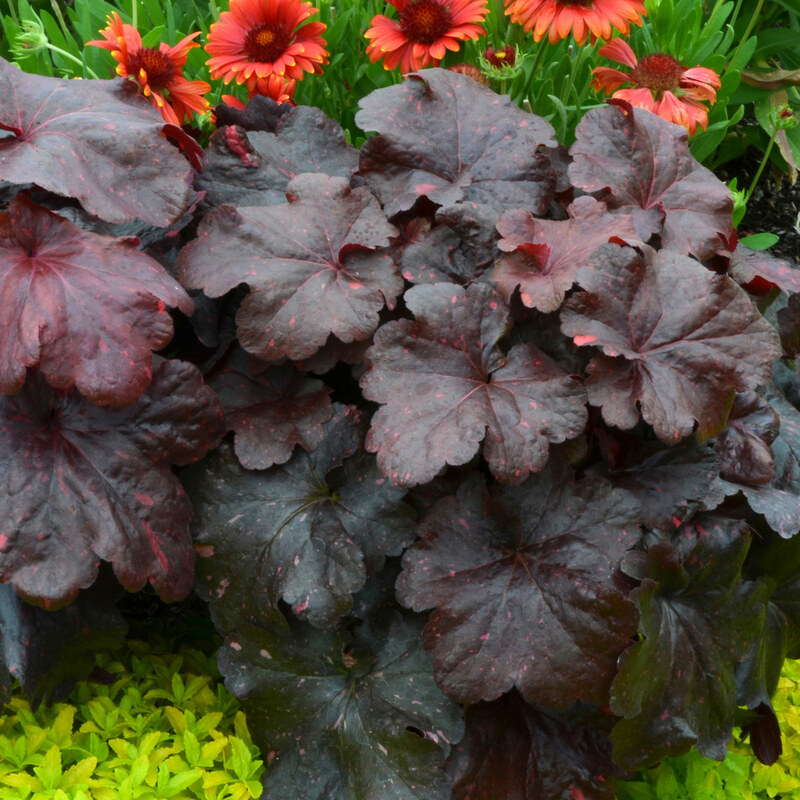 A brand variegated creation from TERRA NOVA® with large leathery leaves heavily variegated with spots of hot pink on a very dark background. 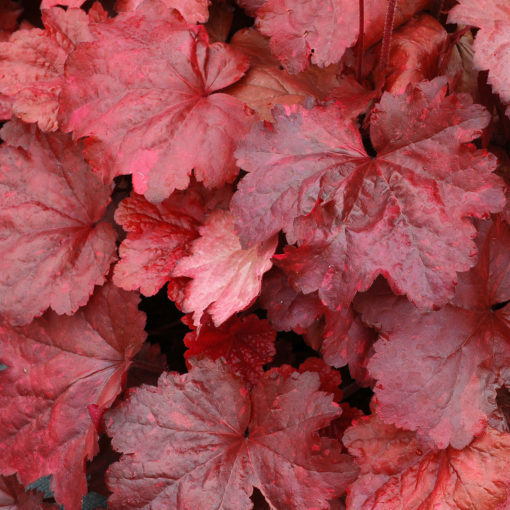 Leaves emerge a startling bright red, and turn darker as they age, the variegation on the other hand gets lighter colored and more noticeable as the season progresses. 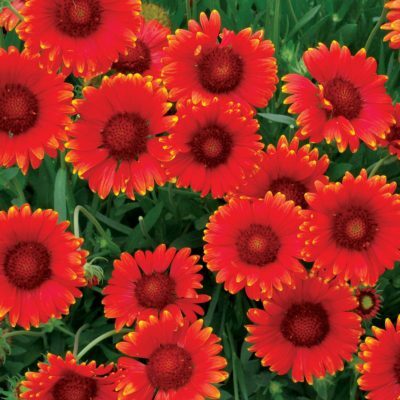 'Galaxy' will love heat and humidity, but performs very well in cool climates too. 9" / 12" / 14"
Compared to 'Midnight Rose', it has fewer and shorter flowers and foliage that is a warm red brown with hot pink splotches rather than purple black. 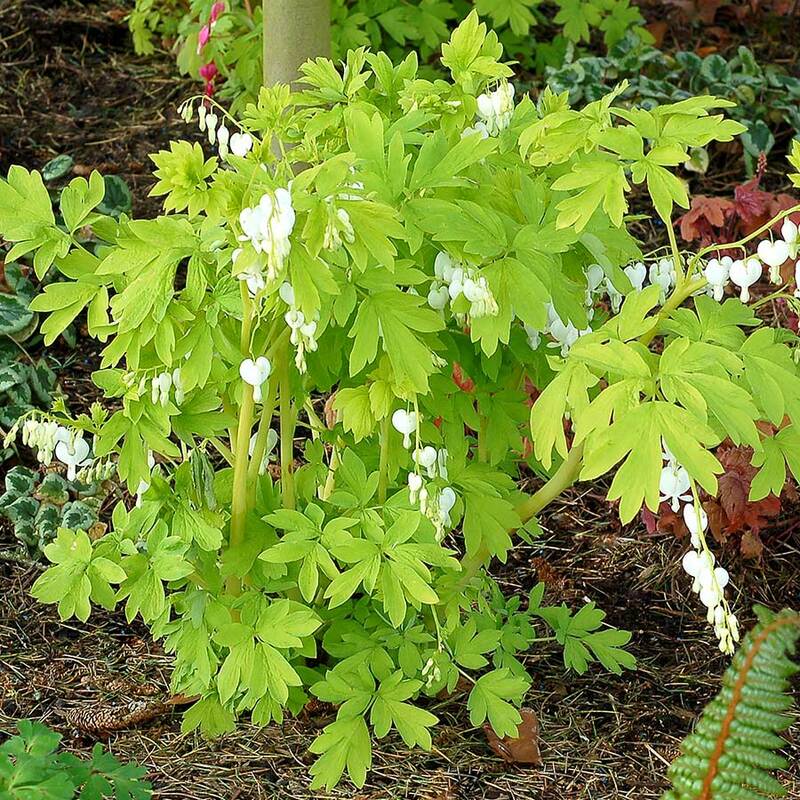 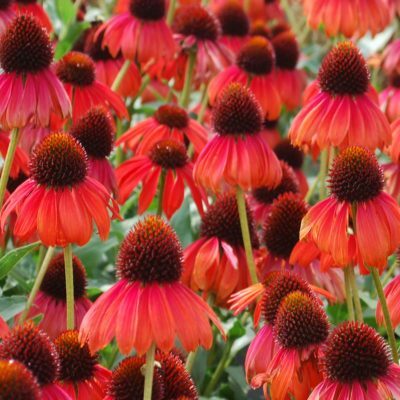 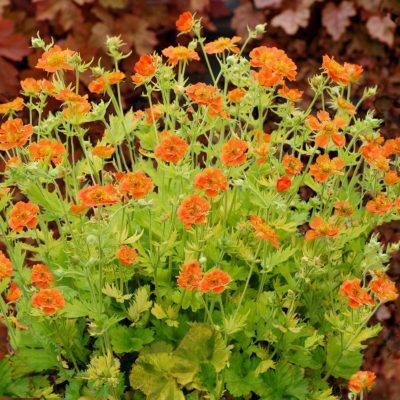 Use as an accent or mass planting in the landscape or container. 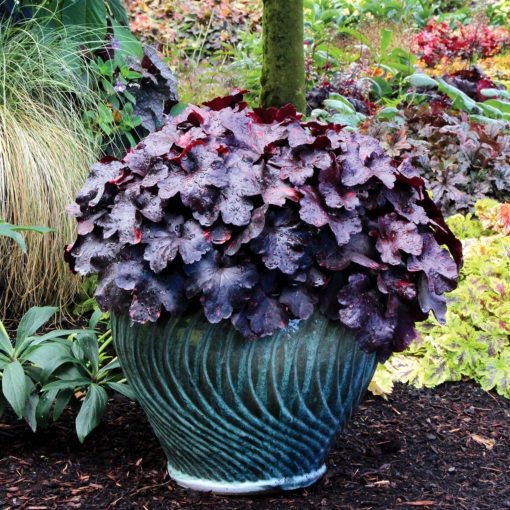 "Best of Species" in Penn. State Trials 2013.